The adidas Originals Vespa Special trainers are the result of something special. Two of the most influential European lifestyle brands have joined forces to create one of the most iconic collaborations ever. As expected the adidas Originals Vespa collection hasnt failed to impress. 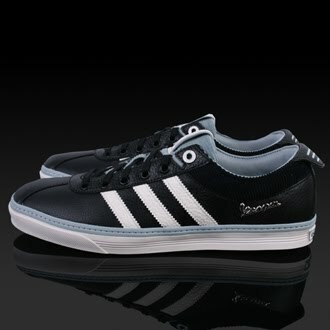 Like the Vespa scooters, these adidas Vespa trainers epitomize quality, timelessness and cool. Each adidas Vespa trainer comes packaged in an exclusive Vespa adidas box and comes wrapped in Vespa scooter graphic paper. This collaborative Vespa sneaker comes in a soft black leather upper for added style and comfort along with the classic Vespa logo on the heel and sole. 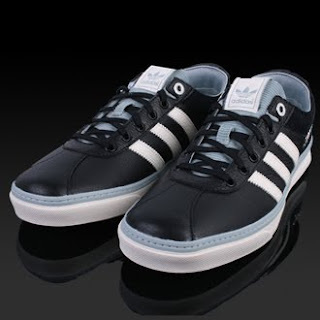 Other features include Vespa design eyelets, a leather adidas Originals tongue tab and a retro adidas Originals Vespa sockliner.